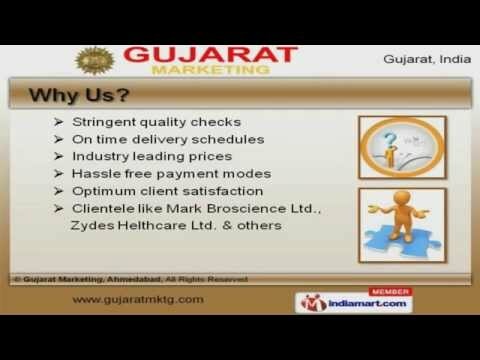 Welcome to Gujarat Marketing, Manufacturer and Supplier of Packaging Material and Machinery. The company was established in 1995 at Ahmedabad. Our State-of-the-art infrastructure and Good financial position make us unique in the industry. Broscience Limited and Zydes Helthcare Limited are some of our elite clients and we are backed by stringent quality checks and Industry leading prices. We offer a huge gamut of Packaging, Wrapping and Masking Films. Our Laminated Pouches, Plastic Pallets and Wrapping Machines are best in the industry amongst others. We offer Anti Skid Bags, Foam Tubes and Spiral Coil Wrappers that are widely acclaimed in the market. Band Sealers, Disposable Syringes and Zipper Profiles offered by us are available at industry leading prices. Along with that we offer Box Strapping Rolls and Self Adhesive Tapes that are extremely reliable. We also provide Thermocol Sheets and PE Cling Film for Food Packaging that are a class apart.